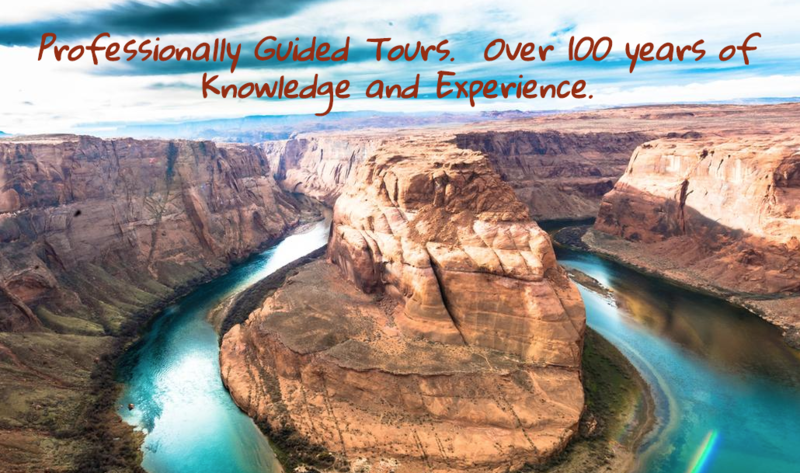 Gateway Tours – Gate Way Tours single-day tours offer a rich experience with activities that include seeing the North Rim of the Grand Canyon like never before. Taking a trip to see where the California Condors are released, the beach of Lake Powell. The Breath taking view of Horse Shoe Bend. Lunch will be provided. 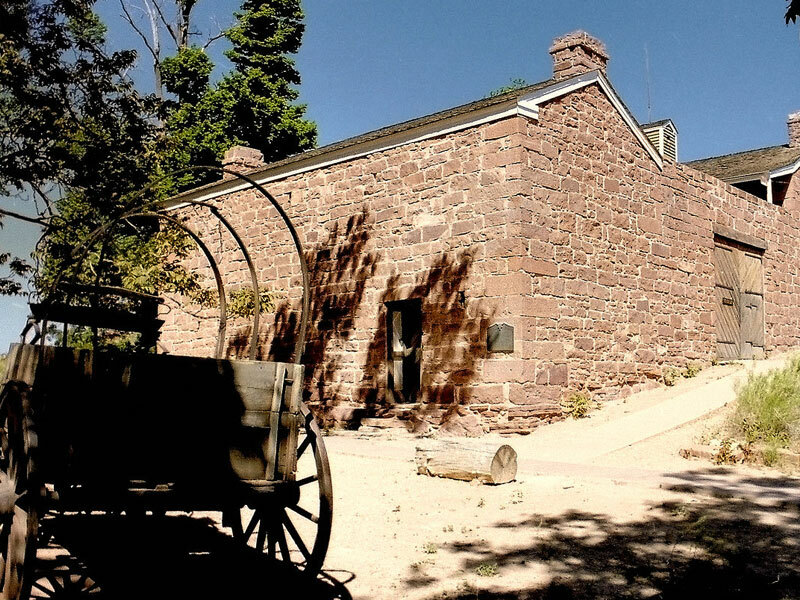 Zion National Park – Follow the paths where ancient native people and pioneers walked. Gaze up at massive sandstone cliffs of cream, pink, and red that soar into a brilliant blue sky. Experience wilderness in a narrow slot canyon. Zion’s unique array of plants and animals will enchant you as you absorb the rich history of the past and enjoy the excitement of present day adventures. 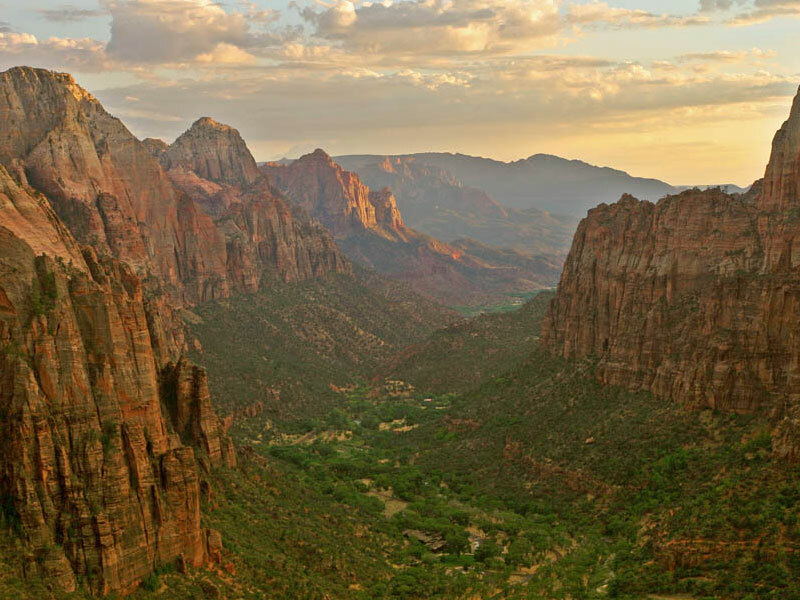 Zion is the oldest and most visited park in Utah. You will find adventures for all from strenuous hikes to bus rides into the most stunning of area. It is a Fee area, but well worth the price. 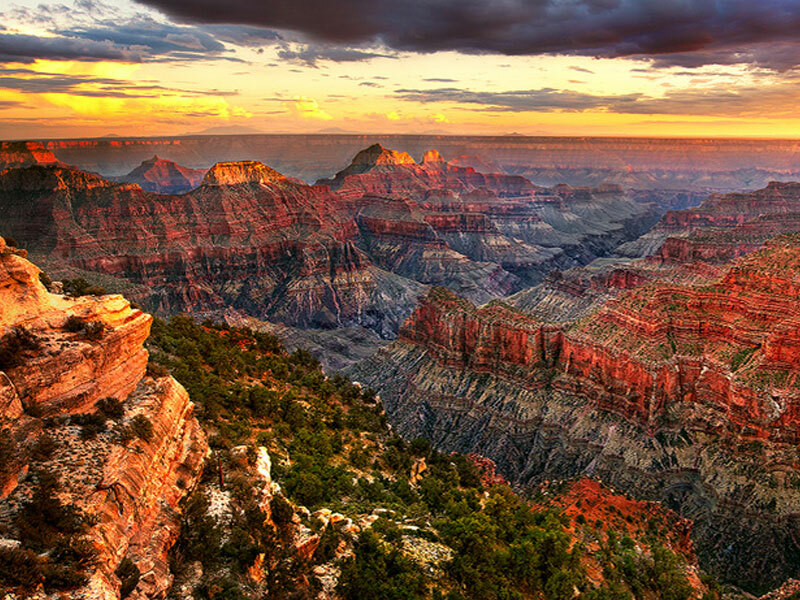 Grand Canyon North Rim – The North Rim of the Grand Canyon is not seen as much as the south rim but is not to be missed. It is beautiful and has the highest vantage point that can be seen in the canyon. There are plenty of hiking trails and places to see that will enchant you and your family. South rim visitors see mostly desert but the approach to the north rim takes you through the Kaibab Wilderness which is full of pine, spruce, and aspen trees. It is not unheard of to see heards of wild bison as well. It is a Fee area, but well worth the price. 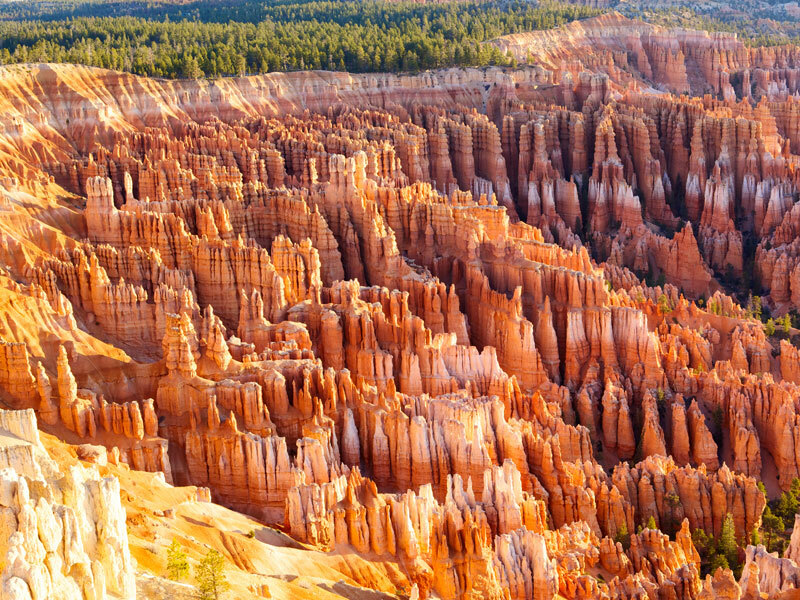 Bryce Canyon National Park – The approach to Bryce takes you through part of Dixie National Forest, and Red Canyon which are impressive on their own but when you see the trees part and see the pink and orange spires appear you will understand why people consider the park magical. While photographs can give you an idea of how pretty Bryce can be it does not hold a candle to the magesty of experiencing the overlooks you have access to. It is a Fee area, but well worth the price. 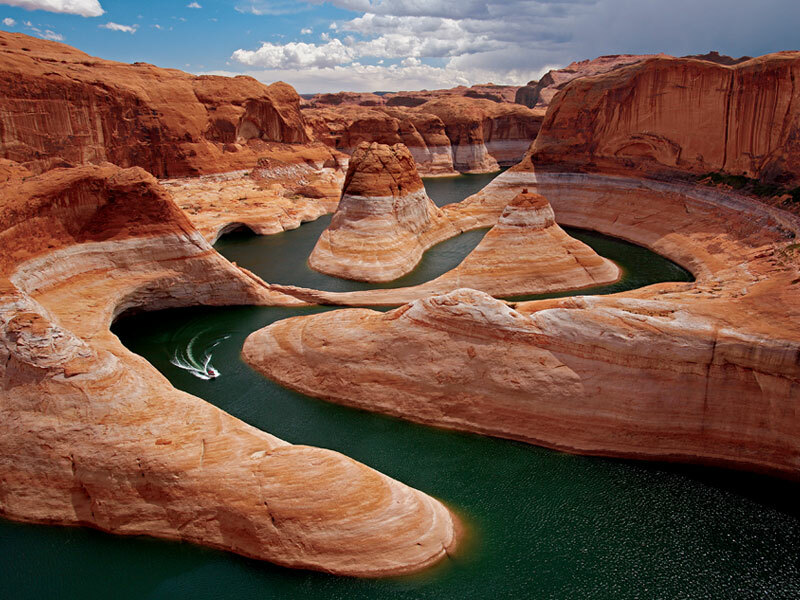 Glen Canyon National Recreation Area – The large amount of area that Glen Canyon National Recreation Area contains access points to the Colorado and Paria Rivers as well as stunning views of multicolored sandstone rock formations. You will find good hiking, biking and swimming opportunities in the rivers and Lake Powell. 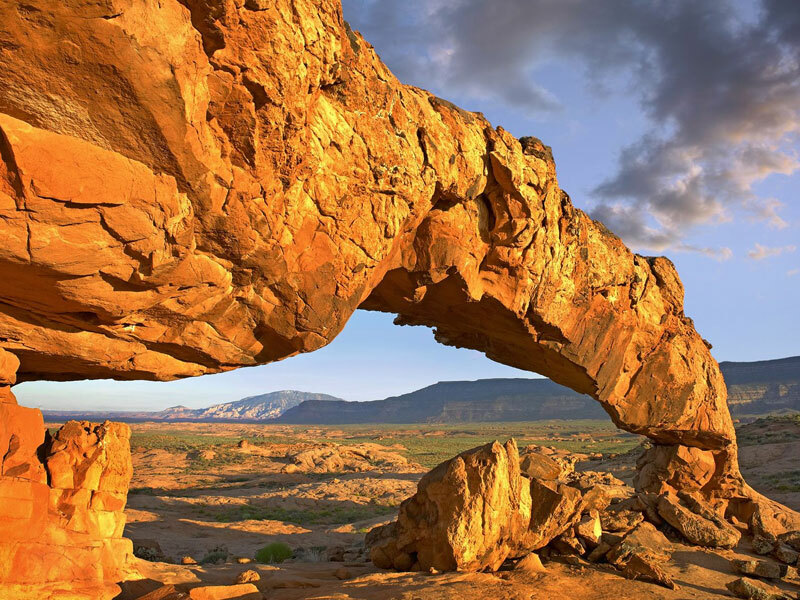 Grand Staircase Escalante National Monument – The Grand Staircase is an immense sequence of sedimentary rock layers that stretch south from Bryce Canyon National Park through Zion National Park and into the Grand Canyon. In the 1870s, geologist Clarence Dutton first conceptualized this region as a huge stairway ascending out of the bottom of the Grand Canyon northward with the cliff edge of each layer forming giant steps. Dutton divided this layer cake of Earth history into five steps that he colorfully named Pink Cliffs, Grey Cliffs, White Cliffs, Vermilion Cliffs, and Chocolate Cliffs. 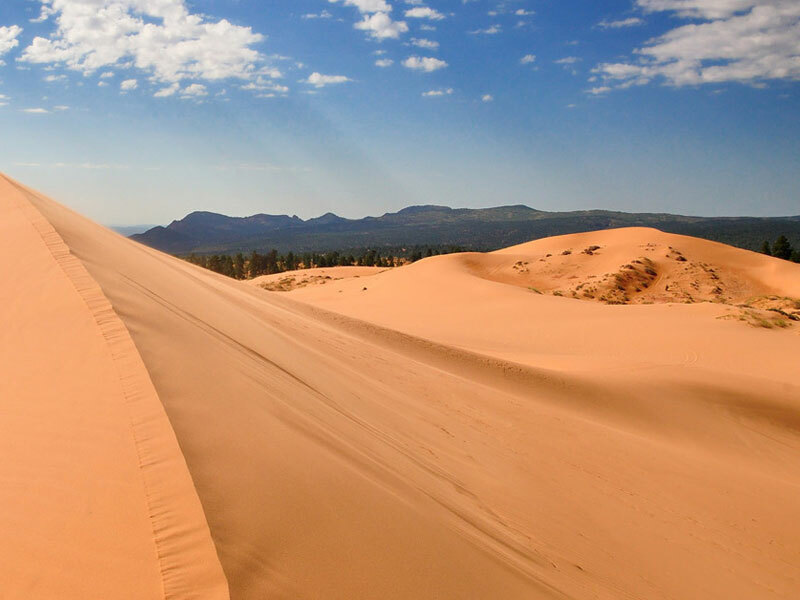 Coral Pink Sand Dunes State Park – Venture onto a shifting sea of red sand. Changed by winds, these mountains and hills of sand can move as much as 50 feet per year. With areas for off-highway vehicle enthusiasts and those with non-motorized pursuits, the dunes offer adventures for all. The geology of the sand dunes is an intriguing subject. The sand comes from Navajo sandstone from the geologic period call Middle Jurassic. The same iron oxides and minerals that give us spectacular red rock country are responsible for this landscape of coral pink sand. Escalante Petrified Forest State Park – Camp along the shores of Wide Hollow Reservoir, or rent a canoe and paddle on its clear waters. 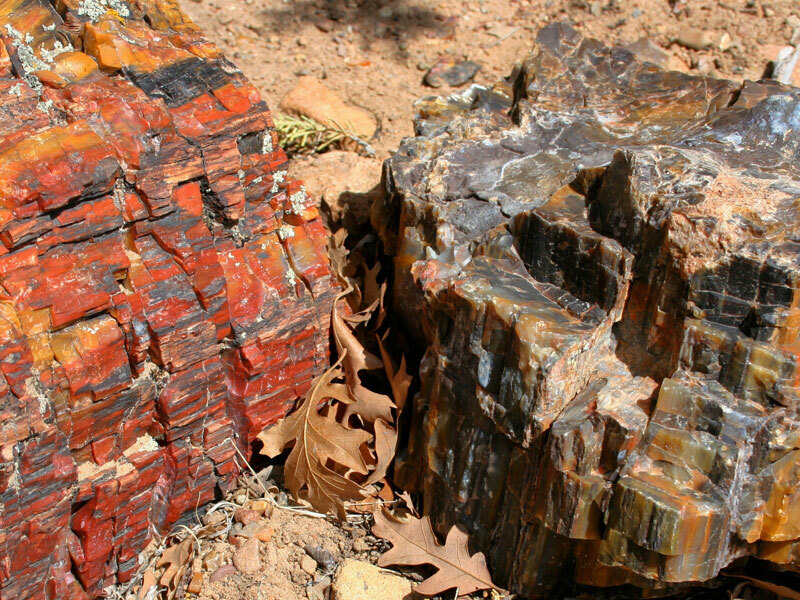 Hike along park nature trails through a petrified forest. 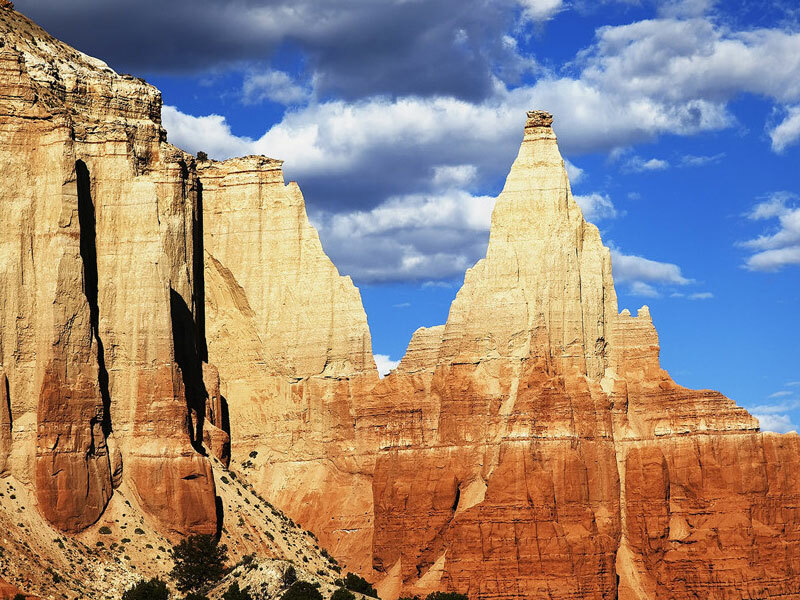 Kodachrome Basin State Park – 67 monolithic stone spires, called sedimentary pipes, accentuate multihued sandstone layers that reveal 180 million years of geologic time. The color and beauty found here prompted a National Geographic Society expedition to name the area Kodachrome, after the popular color film, in 1948. Quail Creek State Park – Boasting some of the warmest waters in the state and a mild winter climate, Quail Creek Reservoir lures boaters and anglers year-round. Spend a day on the water or visit a nearby state or national park, then retire to a campsite in a spectacular red rock desert setting. 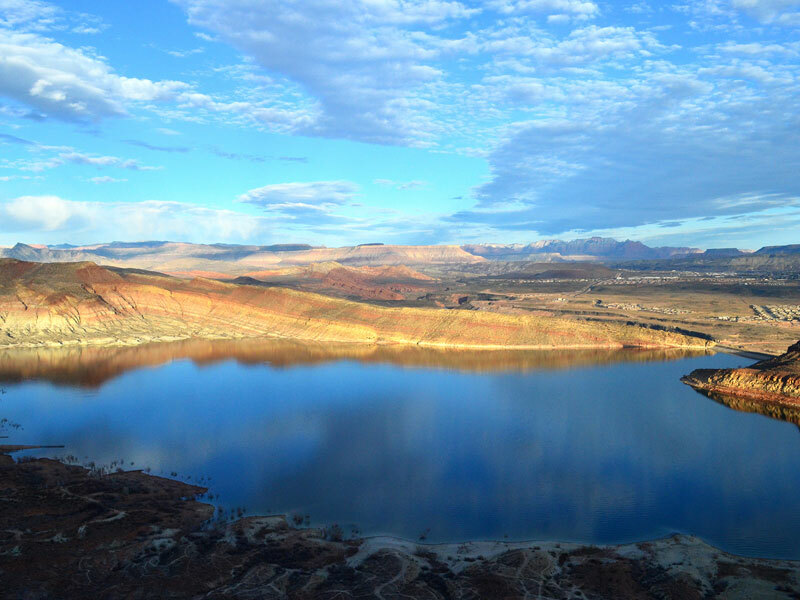 Quail Creek reservoir was completed in 1985 to provide irrigation and culinary water to the St. George area. Most of the water in the reservoir does not come from Quail Creek, but is diverted from the Virgin River and transported through a buried pipeline. 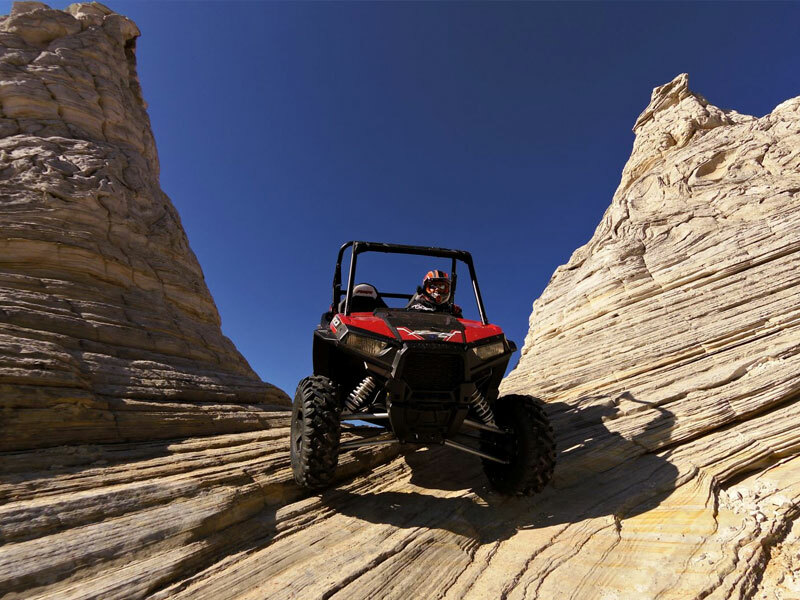 Hogs Canyon OHV Trails -The Hog Canyon designated route system was officially established in 2005, and offers approximately 30 miles of routes ranging from easy to extremely difficult. Hog Canyon is located approximately three miles north of Kanab.